In 2019 we have the following events planned. 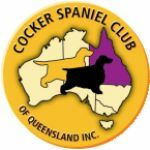 The Conformation Shows are held at the Dogs Queensland Sportsgrounds, King Avenue, Durack. All members, guests and general public are welcome to attend. You can bring your dog along with you please ensure that your dog is restrained on a leash. BYO chair and enjoy watching the Cocker Spaniels on show.